Panel Discussion: Dr Amal Harsha de Silva, Dr Lalith Chandradasa, Professor Vajira H.W. Dissanayake, Edward Archibald (Aus Aid), Ms. Una McCauley (Country Representative, Unicef), Dr. Renuka Jayatissa, Professor Kristin Braa (University of Oslo). Dr. Arulrhaj is an adjunct Professor of Medicine at the Dr. MGR Medical University, Chennai. 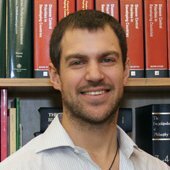 He also server as an examiner to PGDEM of Georgia Washington University, USA. He plays an active role in the Indian Medical Association (IMA) and Association of Physicians in India and honored by the Life Time Achievement Award from the Dr. MGR Medical University, Chennai. He was elected as the Vice President of Commonwealth medical Association for 2004-2007 and the President of Commonwealth medical Association for 2007-2010. 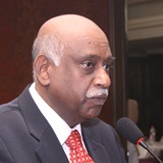 Dr Arulrhaj was the Dean of IMA College, NewDelhi for 1996-1998 and further as the National President of IMA 2002-2003. 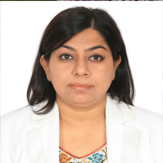 Ms Jyotsna Chikersal is the Regional Advisor for Health Situation and Trend Assessment (HST) for the WHO’s South East Asia Region based in New Delhi, India. She leads WHO’s technical advice to member countries in the region on strengthening Health Information Systems, Civil registration and Vital Statistics, Health Statistics and eHealth as key pillars to strengthen Health Systems. She has over 15 years of experience in building strategic collaborations with development partners and academic institutions to promote technical cooperation as well as capacity building in the area of HST. In recent years, unit’s work has also focused on the use of information and communication technologies (ICTs) in improving quality health services, accelerating universal health coverage, monitoring results, and improving information and accountability for better health outcomes. She has also been spearheading work in the region towards the direction of implementing Open Source Tools, District Health Information System, Electronic Medical Records and Health Data Standards. Ms Chikersal has also being taking forward the coordination of the activities under the Commission on Information and Accountability for Women’s and Children’s(COIA) health in SEAR countries, and monitoring of international health goals such as MDGs. 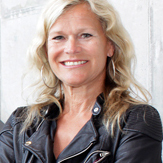 Kristin Braa is a Professor and Vice Head at the Department of Informatics at the University of Oslo since she returned from Telenor a Norwegian international telecom company in 2009. There she established and headed a research and innovation center for Telenor’s Asian operations. She is currently heading the Health Information Systems Program (HISP) network, initiated at the University of Oslo in 1994. HISP is a global action research network which is responsible for the development of the open source based District Health Information Software (DHIS 2). 20 PhD students have graduated and 34 are currently doing their PhD with this program. DHIS 2 is developed, customized and used for reporting, analysis and dissemination of health data for all health programs in an integrated way. It is a shared and integrated data warehouse for essential health data with the aim of supporting information for action. It is implemented in over 40 countries in Africa and Asia including 12 states in India. 12 countries has selected it as a national online HIS using mobile internet. Data can be captured and visualized on any type of mobile device including tablets, smart phones and feature phones. Lacey Hart, MBA, is a Project Management Institute–certified project manager with a master’s degree in business administration with 17 years in the healthcare field. She is the Vice President of Strategic Planning & Business Development for Brandix I three. 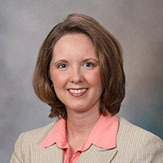 Ms. Hart, formerly of Mayo Clinic, was the program director for research programs including the U.S. Department of Health and Human Services/Office of the National Coordinator for Healthcare IT (ONC) Strategic Health IT Advanced Research Projects (SHARP) on Secondary EHR Data Use and the Beacon Community grant, and the National Institutes of Health/National Human Genome Institute–funded consortium of biorepositories linked to medical records (eMERGE) to name a few. Brandix I three Healthcare Sector is enabling healthcare transformation through innovative health IT solutions and process improvement expertise. Dr. Solaiman is a graduate of the University of West Indies (UWI). He subsequently did Postgraduate training in the UK, obtaining the FRCS (Eng) in General Surgery and Otolaryngology. Since 1995 he has been a Lecturer in Otolaryngology at the University of the West Indies in Trinidad. 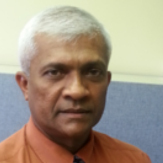 At present, he is the Programme Director in Otolaryngology in the St. Augustine Campus of UWI. His research interests include Paediatric Otolaryngology and the demographics of ENT disease in Trinidad & Tobago. He is Past President of the Trinidad & Tobago Medical Association as well as the Trinidad & Tobago Society of Otolaryngology and Head & Neck Surgery. He is the Editor of the Caribbean Medical Journal and also member of the American Academy of Otolaryngology & Head and Neck Surgery (AAOHNS). In 2013 he was elected the President of the Commonwealth Medical Association (CMA). His vision is to use the vehicle of the CMA to empower the National Medical Associations of the Commonwealth. There is a high penetration of Digital technology(e-Health and m-Health) in the countries of the Commonwealth and lends itself to being the ideal and cost-effective medium for the sharing of knowledge amongst the countries of the commonwealth to provide optimal care for their citizens. Dr Prabhu is the Clinical Director of the GE Healthcare IT. 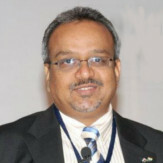 He is the founding secretary of IAMI Bangalore chapter and currently and Executive Committee member of the IAMI (Indian Association for Medical Informatics). He serves as the International Ambassador for Swansea University. Miguel H. Torres Urquidy, DDS, MS, is Senior Service Fellow at the Division of Health Informatics and Surveillance from the US Centers for Disease Control and Prevention. He is also former BioSense Program Manager for CDC which is one of the largest biosurveillance systems in the world. Dr. Torres Urquidy first joined CDC’s Influenza Division as Informatics Fellow where he led the development of several visualization systems of influenza information including mobile technologies. Internationally, he assisted in assessing the influenza surveillance capabilities in Central America. 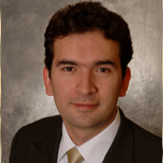 Dr. Torres Urquidy’s work in visualization earned him several awards including the 2013 National Center for Immunization and Respiratory Diseases Honor Award for “Excellence in Domestic Epidemiology.” Previously, he was a post-doctoral associate at the Center for Dental Informatics at the University of Pittsburgh working on National Institutes of Health-funded research related to clinical terminologies. Dr. Torres Urquidy was trained as a dentist at the National University of Mexico and continued his education with a master’s degree in biomedical informatics from the School of Medicine at the University of Pittsburgh. There, he developed a biosurveillance system that detected oral manifestations caused by bioterrorist agents by using emergency department data. In 2004, he rotated with the NIH’s National Library of Medicine conducted analyses on U.S. public policy. Dr. Torres Urquidy is past chair of the Dental Informatics Working Group at the American Medical Informatics Association and the International Medical Informatics Association. His work has been featured in several peer-reviewed health journals, US media and conferences. His book, Medical and Dental Data Integration, is published by Springer-Verlag. Dr Wickramasinghe is the Director, Health Information and acting Senior Assistant Secretary – Medical Services in the Ministry of Health Sri Lanka. She obtained her MBBS from University of Peradeniya and her MSc and MD in Community Medicine from University of Colombo. Having worked as a Medical Administrator for the past 12 years holding key administrative posts including that of Director Planning, Director International Health and Medical superintendent DGH Negombo, she possess an in depth understanding of the intricacies of the state health sector. She is also presently involved in several large scale projects as the Project Director viz. SHSDP, JICA, in the Ministry of Health. 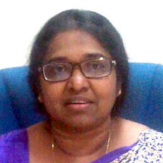 She is the present Vice-President of the College of Medical Administrators and a member of the Specialty Board for Biomedical Informatics at the Postgraduate Institute of Medicine, University of Colombo. Her special interests revolves around health economics, and Health planning.